What Are Proton Pump Inhibitors (PPI’s)? Who Is Affected By Heartburn? How Do Heartburn Drugs Work? What Are Some Of The Common Heartburn Drugs? What Are The Side Effects Of Heartburn Medicines? Did Your Heartburn/Indigestions Medicine Cause Your Kidneys To Fail? Thousands of people are filing proton pump inhibitor lawsuits against the makers of dangerous heartburn medications. If you have problems with your kidneys and used Nexium, Prilosec or Prevacid, you may be eligible. The claims state that had the plaintiffs been properly warned of the risks, patients would have used a different medication for their acid-related stomach issues, and had their health closely monitored for potential signs of kidney disease. There will be a need to consolidate these lawsuits as more and more individuals come forward with injuries. A request has been made to consolidate the proton pump inhibitor cases before a single U.S. District court for pre-trial proceeding purposes. A hearing of the arguments by the U.S. Judicial Panel on Multidistrict Litigation is scheduled for January 26th. Proton Pump Inhibitors, better known as heartburn drugs, are designed to help people with heartburn, indigestion, and GERD (acid reflux). They are the second-largest class of drugs sold in the United States (behind cholesterol regulators) with an estimated 15 million people prescribed PPIs in 2013 alone. Sales for heartburn medicine were $13.68 billion in 20016 alone with 110 million prescriptions, which includes branded and generic drugs. According to IMS Health, PPIs were the ninth most commonly prescribed medication in 2015. Nexium, manufactured by AstraZeneca, has been one of the top-selling drugs in the U.S. with more than $6 billion in sales estimated by IMS Health in 2013. Prior to Nexium, AstraZeneca saw success with their drug Prilosec, but Prilosec went OTC (over the counter) in the summer of 2003, dropping the price and the profit for AstraZeneca. Critics have noted that the shortage of Prilosec in 2005 may have been planned. Nexium was approved in 2001 but started to see an increase in profit around the same time Prilosec was sold over the counter. Originally, Histamine H2 blockers were developed to stop the action of histamine on gastric H2 receptors, therefore decreasing gastric acidity. At this time, they were considered a medical breakthrough in the treatment of peptic ulcer disease. Since then, PPI’s has lessened the demand for this drug. Problems After Taking Heartburn Medication? More than 60 million Americans experience heartburn at least once a month and more than 15 million Americans experience heartburn daily. It is expected that these numbers will increase as a result of our aging population since heartburn is more common among the elderly. Individuals who get heartburn two or more times weekly may have gastroesophageal reflux disease (or GERD). GERD makes stomach acid flow up into the esophagus, which creates a burning. Nexium and other heartburn medicines are often prescribed for individuals who have been diagnosed with GERD or frequent heartburn although many critics note that changing eating habits and using over-the-counter medicines can be just as effective. Heartburn drugs work by decreasing gastric acid production made by glands in the lining of the stomach. In a more advanced explanation, heartburn drugs are converted to an active inhibitor and then bind covalently to a proton pump that inhibits it, all due to the acidic conditions in the parietal cells. There are many heartburn drugs sold either by prescription or over the counter (OTC), they are also referred to as stomach acid drugs, acid reflux medicines, and digestive disorder medicines. In February of 2016, JAMA published the results from a study that showed people taking Prilosec and other proton pump inhibitors (PPI) on a daily basis may have a 20 to 50% increased risk of chronic kidney disease. The longer the heartburn medicine was taken, the greater the risk. According to the study, people who use PPIs twice a day could be up to 46% more likely to develop kidney disease. The researchers urged those on long-term PPI treatment to have their kidney function routinely monitored. Chronic Kidney Disease involves a gradual loss of kidney function. CKD can progress to kidney failure, which is fatal unless a patient undergoes dialysis or a kidney transplant. You should look into your legal rights. New studies are showing evidence of an alarming relationship between use of these medications (known generically as Proton Pump Inhibitors) and kidney problems, including kidney failure requiring dialysis. This is a serious problem. The heartburn medicine lawyers at TruLaw and its partners are actively talking to individuals who have experienced side effects from heartburn drugs and are currently considering protecting their legal rights. To instantly find out if you qualify for a lawsuit and to protect your legal rights fill out our Secure Heartburn Medicine Instant Case Evaluation. In February of 2016, the Journal of American Nephrology published a study called “Proton Pump Inhibitors and Risk of Incident CKD and Progression to ESRD”. Using the Department of Veteran Affairs national databases, they were able to compile a list of patients to use for the study. There were approximately 173,321 using a proton pump inhibitor, and 20,270 people assigned to H2 antagonists as a control group. At the end of the five-year study, only 0.2% of patients developed end-stage kidney failure. However, the risk of developing it was 96% higher than users of H2 blockers. Exposure to PPI use played a factor in the risk of developing kidney failure. If you have been using a PPI for more than 30 days, there is a higher graded risk of renal malfunction. Overall, results from this study suggested that PPI use is associated with an increased risk of an incident for Chronic Kidney Disease, CKD progression and End-Stage Renal Disease. Unfortunately, this is not the only study noting these frightening claims. A study ran by JAMA Internal Medicine titled, “Atherosclerosis Risk in Communities” found similar results. Between 1996 to 2011, 10,482 participants had baseline visits. The data was analyzed in 2015 from May to October. Among the participants, the mean age was 63 and 43.9 percent were male. Participants who were white, obese and taking antihypertensive medication were most often using PPI’s. As mentioned before, the results were grave. JAMA Internal Medicine concluded that proton pump inhibitor use is associated with an increased risk of an incident of chronic kidney disease. They believe that further research should be done to evaluate if reducing PPI use reduces the incident of CKD. A 2016 study conducted by researchers at Washington University in St. Louis found that drugs used to treat heartburn and acid reflux can lead to kidney damage and failure. The risk of kidney damage from heartburn medications increases the longer people take such medications. The researchers, who followed patients for five years, concluded that PPI (proton pump inhibitor) use led to chronic kidney disease in 15 percent of PPI users, as compared to 11 percent with H2 blockers. They also found PPI users to have a 98 percent risk of developing kidney failure, a rate much higher than those who used H2 blockers, although kidney failure occurred in less than one percent of the patients studied. The researchers advised that people use PPI medications for the shortest time possible. The March 2016 population-based study from Scotland involved approximately 565,000 adults, 188,323 of which received some form of acid suppression medication. Compared with individuals in the community who did not take acid suppression medications such as Nexium and Prilosec, those who did had 1.7-times and 3.70 times increased risks of C. difficile and Campylobacter, respectively. Among hospitalized patients, those using the medications had 1.4 times and 4.5 times increased risks, respectively. C. difficile and Campylobacter can cause considerable illness including diarrhea, severe abdominal pain, loss of appetite, fever, blood or pus in stool and weight loss. Left untreated, these bacterial diseases can be very dangerous. According to an April 2016 study published in JAMA Neurology, people aged 75 and older who used proton pump inhibitors (PPIs) like Nexium, Prilosec, and Prevacid had a 44% higher risk of dementia. The study analyzed data from nearly 74,000 patients between 2004 and 2011 and found that PPIs appear to affect levels of amyloid beta and tau, which are proteins associated with Alzheimer’s disease. PPI use can also lead to vitamin B12 deficiency, which has been associated with cognitive decline. 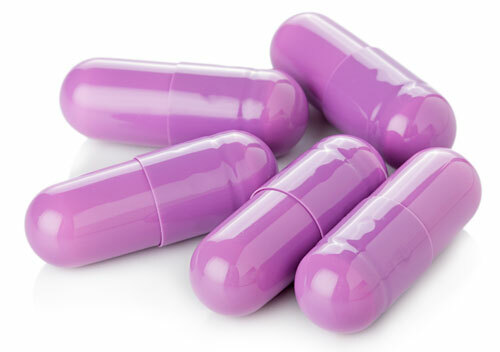 PPIs like Nexium have been associated with an increased risk of myocardial infarction, renal failure, and dementia, according to a study published in the May 10, 2016 edition of the medical journal Circulation Research. How Do I Pick an Nexium or Prilosec Lawyer? How Can an Heartburn Drug Lawsuit Help? Your Heartburn Medicine lawsuit is designed to help you financially recover from injuries that were caused by someone else. We hope putting your trust in TruLaw will take away your concern of protecting your legal rights., but it is most important to us that you spend your time recovering physically. Is there an Nexium or Prilosec Class Action? Has There Been an Nexium or Prilosec Settlement? Is there currently a Nexium or Prilosec Lawsuit? TruLaw is pursuing Nexium, Prilosec, or PPI Lawsuits because we believe consumers were not properly warned of the risks of injury. Have you seen a Nexium or Prilosec Lawsuit Commercial? Did a recent Nexium, Prilosec, or Proton Pump Inhibitor commercial grab your attention? Did you find our site because you were wondering if you qualify for Heartburn Medicine lawsuits? We built the Heartburn Drug Instant Case Evaluator as a no cost/no obligation place for you to find answers about your legal rights. If you found us today, you are looking for instant answers to whether you should file a Heartburn Medicine (PPI) Lawsuit and we want to help you. We believe that in order for you to make important decisions about your health and your legal rights, you need to start with information. We provide you this valuable information so you are prepared to talk to a lawyer. Should you file a heartburn drug lawsuit to protect your legal rights? Did you use one of these medications? Did you then develop problems with your kidneys? If you answered yes to these two questions you should look into your legal rights.Fill out our Secure Heartburn Instant Case Evaluation if you believe you may need to protect your legal rights. View Your Heartburn Drug Case Analysis Now! Are you completing this form for a loved one that passed? Did you or your loved one take the selected heartburn medication for more than a week? What is the time frame of your taking the medication and your injury noted above? Are you or your loved one still taking selected medication? Are you currently represented by another law firm or lawyer in a lawsuit involving your injuries as noted above? View Report Receive instant case qualification information on submission of this form.